I had the pleasure of speaking with LaShawn Merrit, the 400 meter 2008 Olympic and 2009 Word Championship Gold medalist. We talked about training, and especially Dwayne Miller’s famous “Drill Outs” workout. Miller presented LaShawn’s annual plan at the 2008 SuperClinic. I primarily asked about his 2005, 2007, 2008, 2009 season, and that Beijing race where he literally shuts it down after 15 meters after coming out of the blocks. I’ll find the video footage shortly. 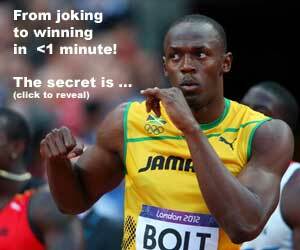 I asked him what will it take to break the WR of 43.18? Splits in 21 + 22? We used Skype, and there were few hiccups with the audio and video. If there is a demand, we can chat again in a few months and check in on where he’s at for his London 2012 preparations. Or the USATF Olympic Trials… remember, no “bye” here! As for future videos and interviews.. I don’t want to brag, but I have a HUGE rolodex of potential coaches and athletes, and I just have to find the time to connect. I am GMT+1 which makes it challenging. Who do you want me to call next? I like a collection of athletes and coaches, past and present, male and female, representing all countries. 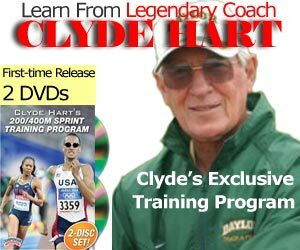 Glen Mills, Clyde Hart ;) would be nice! jimson – i’d like to hear linford christie. He has a new crop of talent coming through in all sprints, and i’d like to hear his philosophy and ideas. @ cov-god – I am from the UK too. When & where is clyde harts masterclass?? Its on the 18th at Birmingham Marriott hotel for 3 hrs, its through UKA, check the ucoach website. Thanks Cov-god. Maybe see you there! JIMSON, I JUST FOUND OUT THIS PAST WKND THAT Lashawn Merrit is now in Florida under Lorean Seagrave and his old coach D.Miller is not happy. Can We say, Jeremy Warner….